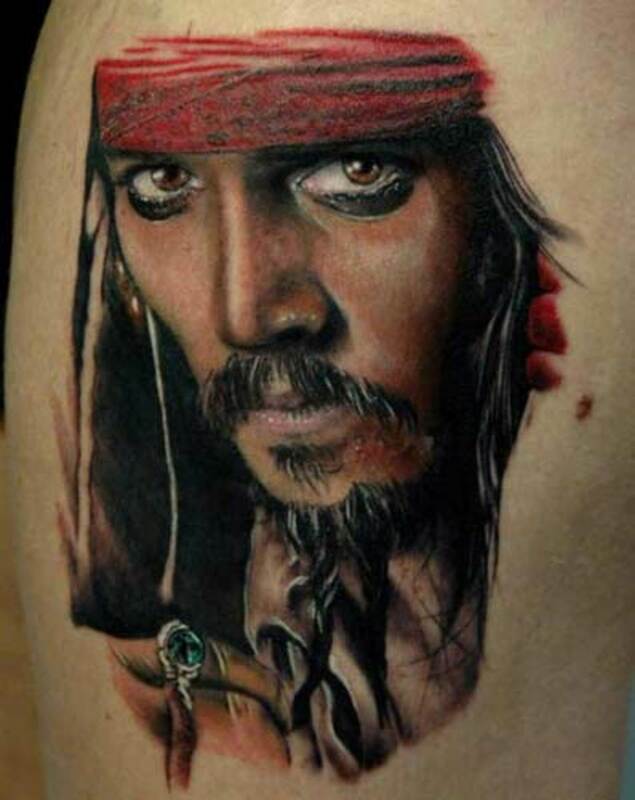 I'm a big fan of photorealism tattoo work and follow several tattoo artists and their work. 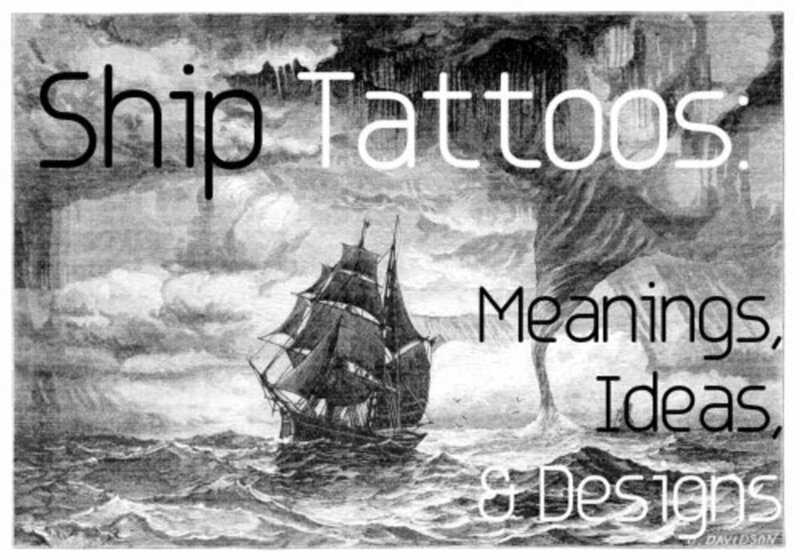 Nautical tattoos are associated with the history of tattooing. 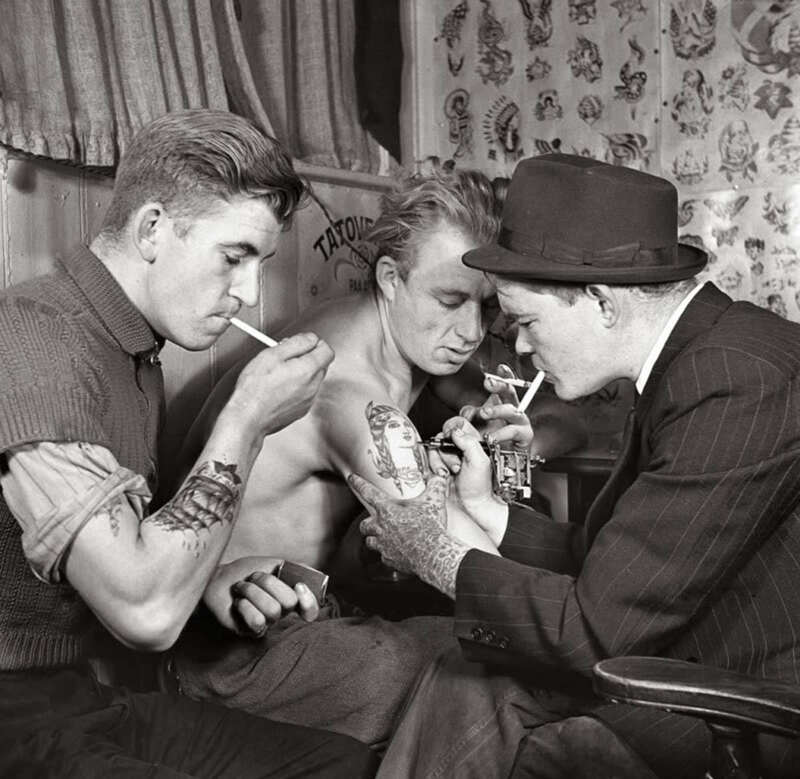 Sailors were responsible for reviving the practice of tattooing. With the sailors collecting souvenirs of their travels to the Polynesian Islands and Southeast Asia, they spread the popularity of tattoo designs upon their return as people from their homelands became intrigued by the art form. The life of a sailor was dangerous and lonely. Many sailors lost their lives at sea. With many months spent at sea and far from home, sailors found that tattoos were a wonderful way to pass the time. Their tattoos would then tell the story of their travels in addition to using imagery to calm their superstitions. Many sailors believed that tattoo symbols were amulets and talismans that protected them while they traveled the dangerous ocean. Sailors also liked to keep visual reminders of their families and the women they may have met at different ports. This led to the popularity of mermaids, pin-up girls, and hearts with names of loved ones. 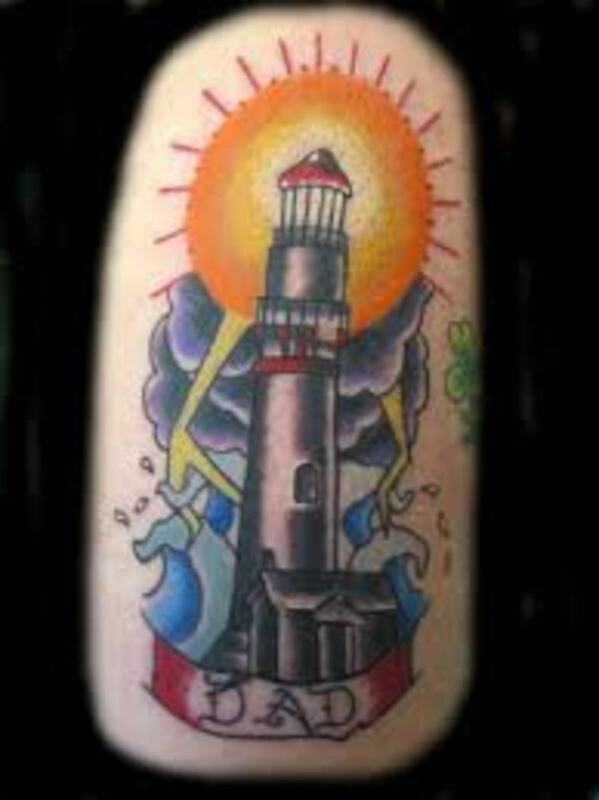 The "nautical" star is a symbol typically associated with sailors and is an extremely popular tattoo design. It is usually depicted as a five-pointed star in alternating shades of dark and light colors in the same pattern found on compasses and old nautical charts and maps. 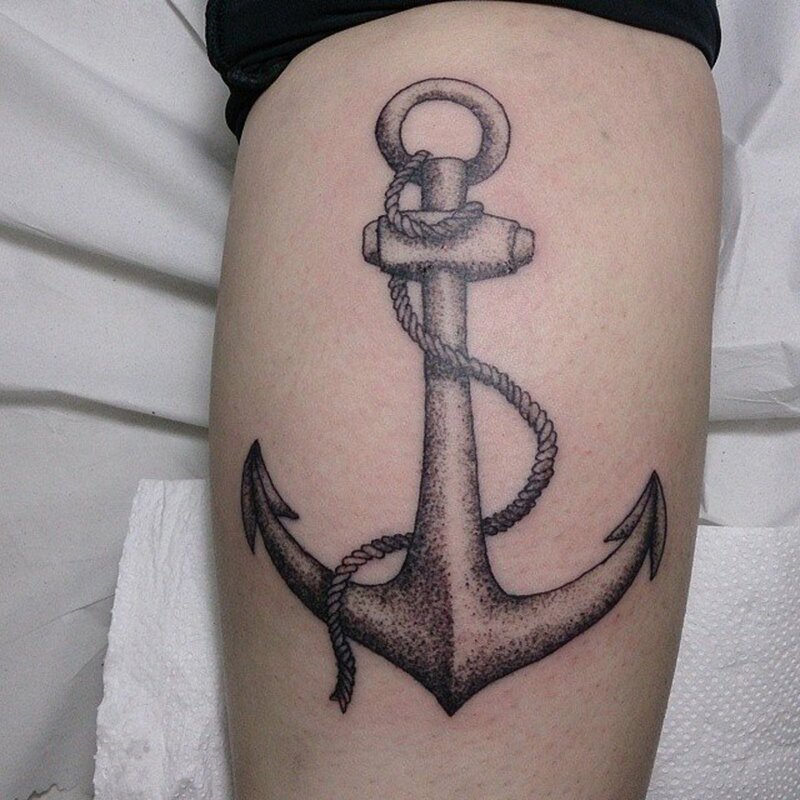 Sailors originally favored the star tattoo design because of the importance of the compass. Being lost at sea was a real danger in those days. A tattoo of a nautical star was believed to help the wearer always find their way home. Superstitious sailors found that a nautical star tattoo gave them a sense of security when facing the dangers and uncertainty of traveling on the dangerous seas. 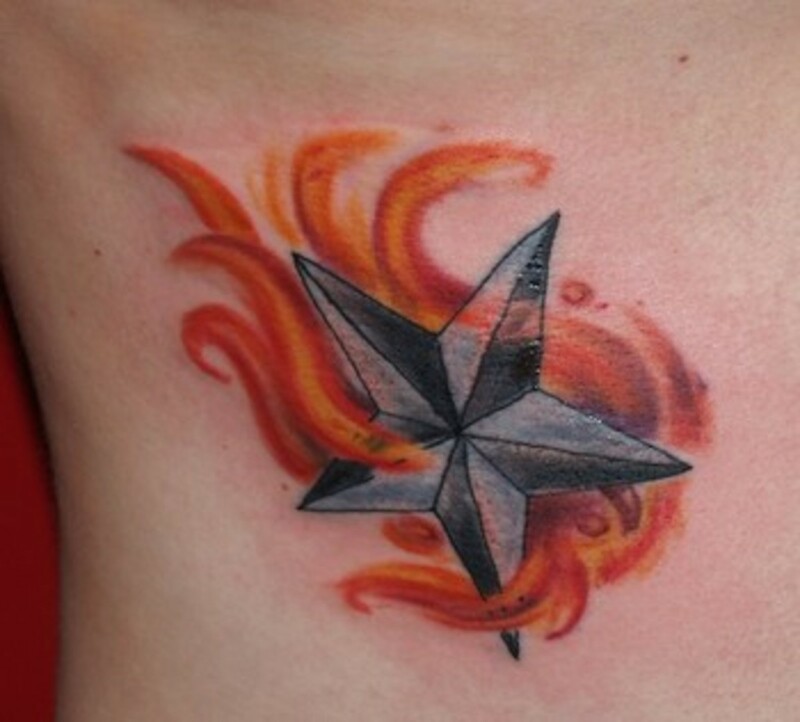 These days, many people choose the nautical star just because it is an attractive and retro, attractive, tattoo symbol. A few individuals are familiar with the importance it held for sailors in the early days of exploration and travel. Some people choose this symbol because they like the representation—always being able to find their way home. For some, it is a symbol to follow your dreams, but the star will help you to find your way home. The mermaid tattoo symbol has its origins from the early 1300s. Sailors were rumored to be hallucinating when they were out to sea for long stretches. Today, it is believed that sailor that brought back tales of seeing mermaids on rocks in the ocean were actually seeing manatees on the rocks. Manatees are large as humans and its’ believe the sailors mistook them for the mythical creatures. 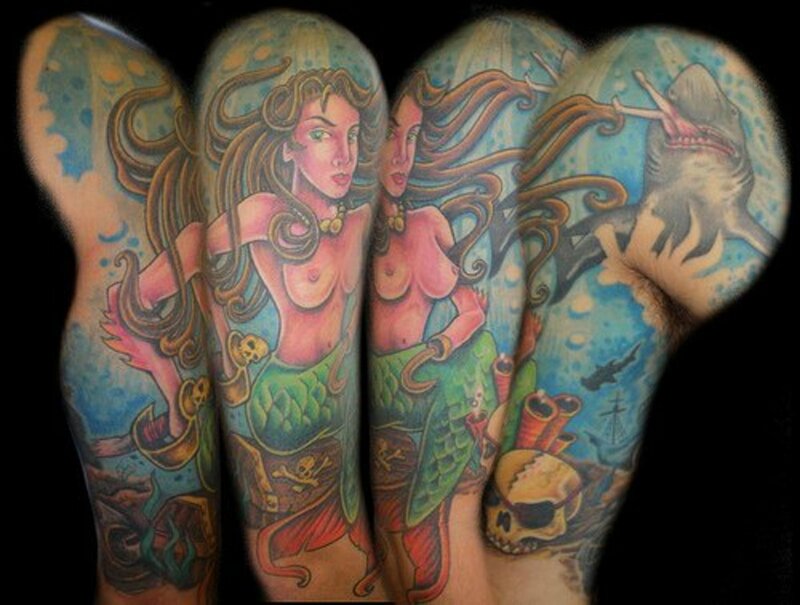 A mermaid tattoo was said to bring luck to a sailor if he happened to fall overboard. Mermaids were said to be beautiful creatures with irresistible voices which could entrance sailors that within earshot. It was said that anyone coming into contact with a mermaid would be under their spell. 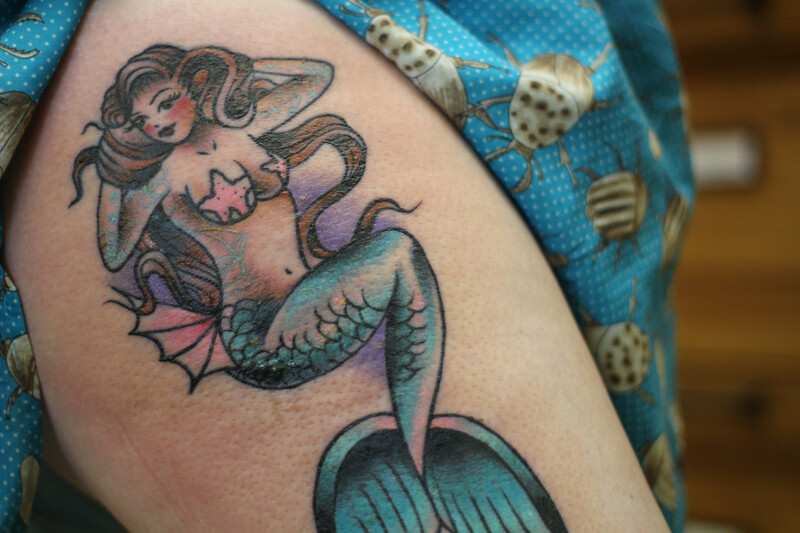 You can think of mermaid tattoos as being the first pin-up tattoo design. A popular tattoo with sailors back in the 1700s and 1800s is the text "Hold Fast." 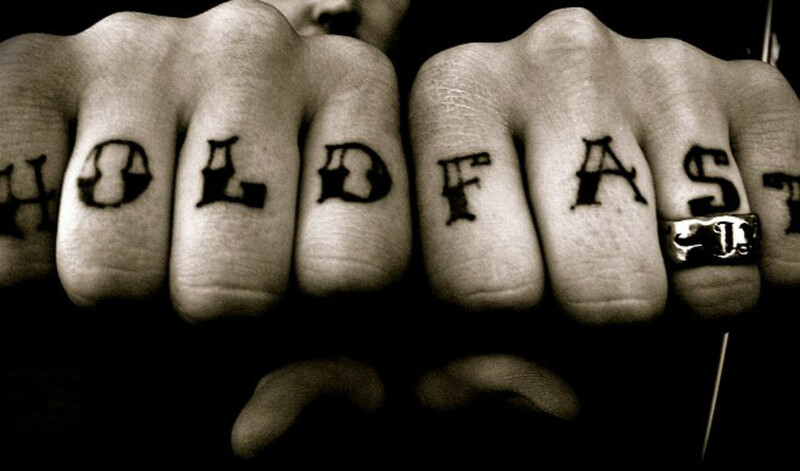 Soldiers sometimes had it as part of an image tattoo and also like to have the two words spread across their knuckles. HOLD on one hand and FAST on the other. This remains popular even today. The term “Hold Fast” is an old-school traditional design. On a ship, a rope is “fast” when is it firmly secured. The original meaning was a superstitious wish for sailors. It represented a wish to keep their hands from slipping on lines or when they worked on deck during nasty weather. When the sailors had to secure themselves to the rigging on the ship for security. The octopus is a mysterious sea creature that lent itself to nautical legends and folklore. 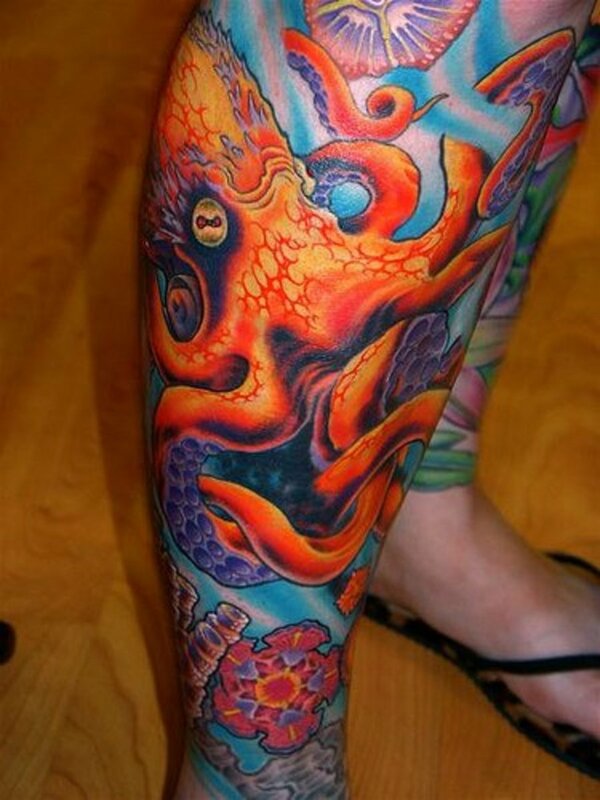 The shape of the octopus lends itself to tattoo work in a most attractive way. The tentacles and arms allow artists to wrap the octopus image around shoulders and legs very easily. 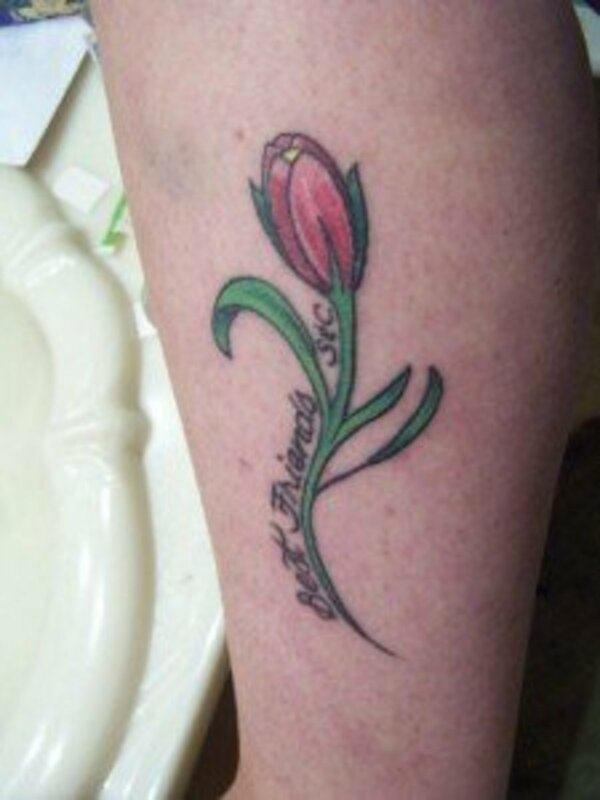 There's a female tattoo artist, Judy Parker, who specializes in aquatic tattoos. I watched her put a huge mermaid tattoo on a guy's leg at a tattoo convention in Miami. She was offering discounted pricing as long as you let her do a mermaid. It was beautiful and the guy got a $1000 tattoo for $200. He was happy and the artist was happy. 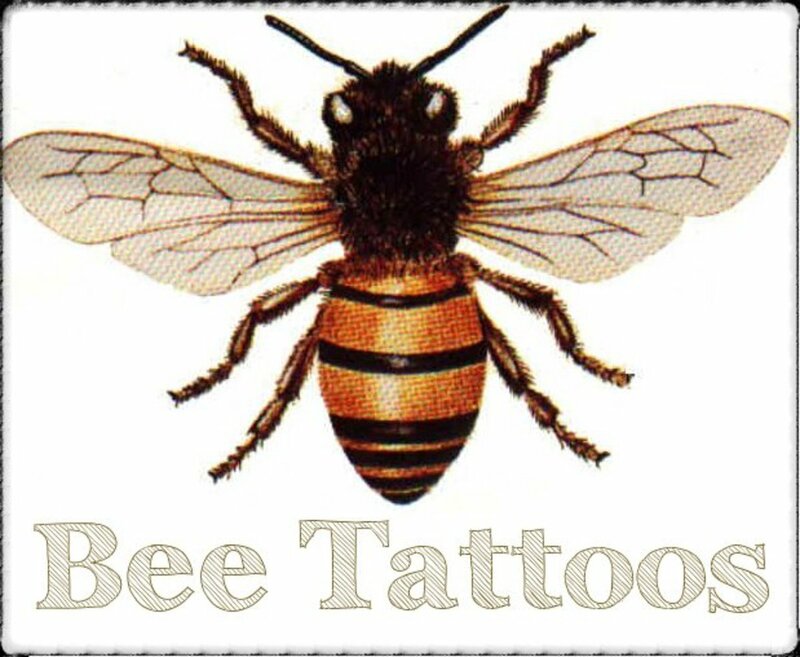 Some artists build up such a respected admiration for their style, that tattoo collectors are willing to let them design the tattoo. It's a nice way for the artist to be free to use their creativity. Other popular sea creatures include turtles, sharks, and sea horses. Sometimes this design is referred to as a sparrow instead of a swallow. The meaning and nautical importance dates back to the early 1600s. It was said that swallows were used to mark milestones in a sailors career. One swallow meant the sailor has logged a thousand miles at sea. A second swallow meant the sailor had logged ten thousand miles. Nautical star tattoos were said to mean good luck to the superstitious sailors. Good luck in finding land and returning home safely. Other meanings documented say that some sailors believed that getting sparrow tattoos inked on their chests would ensure their spirit would reach heaven if they perished at sea. 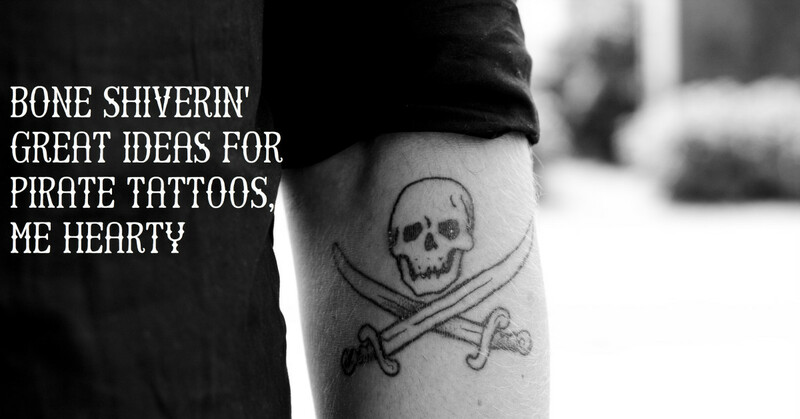 These may not be quite as popular as traditional swallows and mermaids, but pirates and pirate ships make for a striking tattoo. 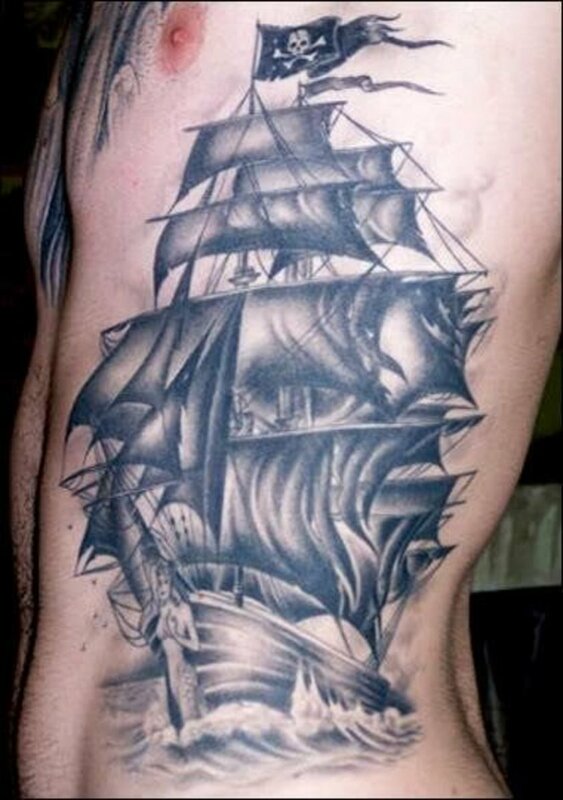 There have been some beautiful compositions created as entire back pieces that incorporate a pirate ship as the central focus. These nautical images—pirate ships and anchors—are more popular with men. Nautical stars and most other nautical images are quite popular with both sexes. 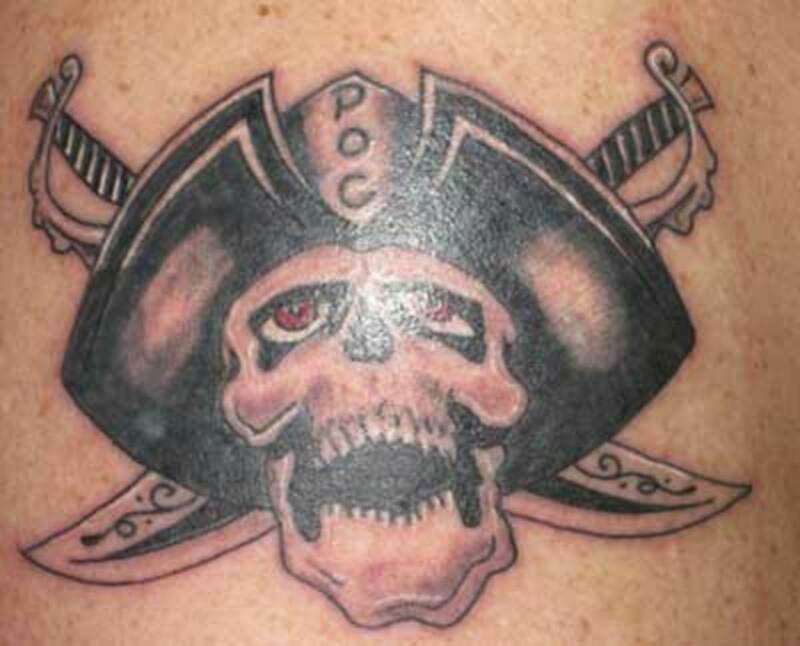 The Pirates of the Caribbean had an impact on the popularity of pirate tattoo. Who doesn't love Johnny Depp? 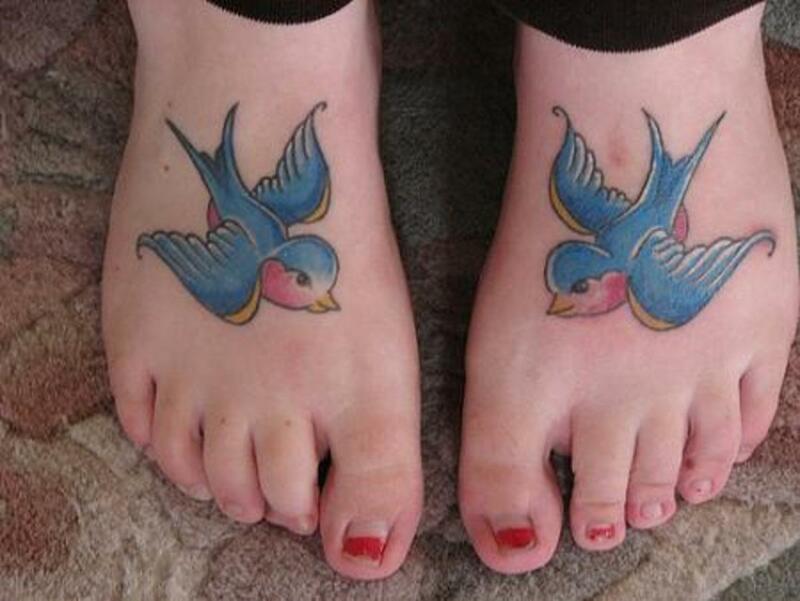 These tattoos are traditionally placed on top of the feet as you see in the picture below. Both of these animals have a fear of the water and can’t swim. To a sailor, these tattoos were related to the fear they had of of drowning at sea. It was believed that the tattoo of the two animals would prevent the sailor from sinking because they would speed him back to land so quickly. 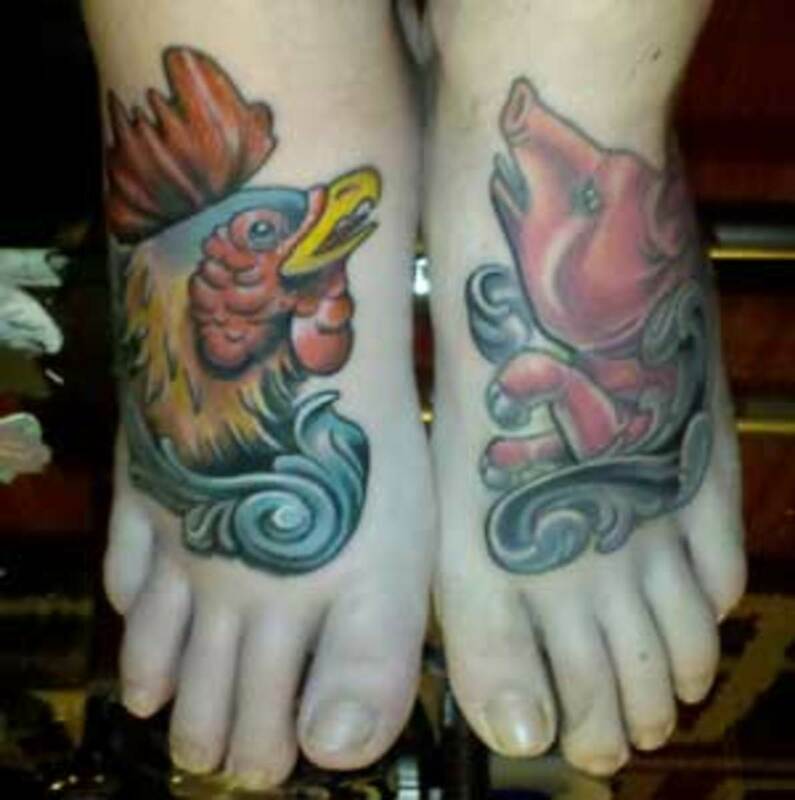 The rooster and pig tattoo design is one of the least popular of the nautical tattoos but I think it’s very cute. Especially when people get them on top of the feet—on the traditional part of the body. 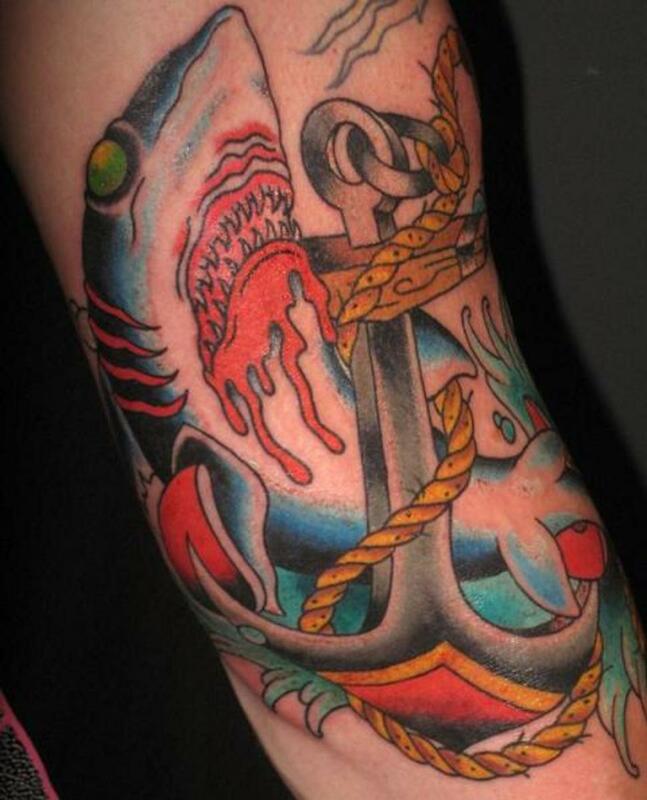 What is Your Favorite Nautical Tattoo Design?